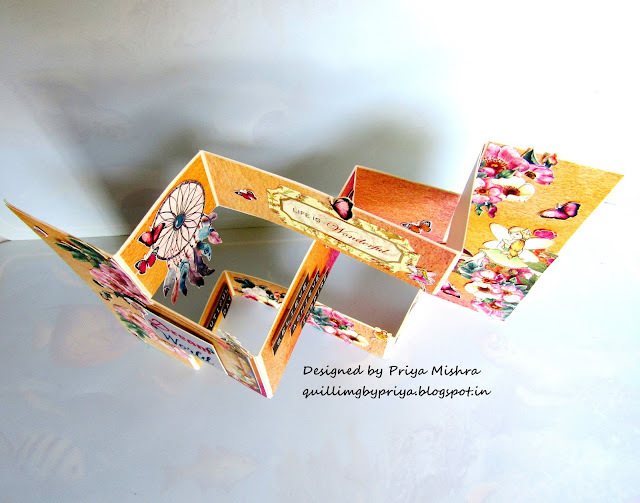 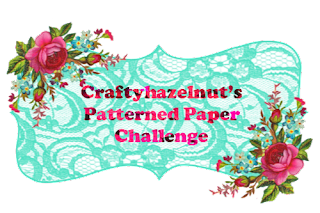 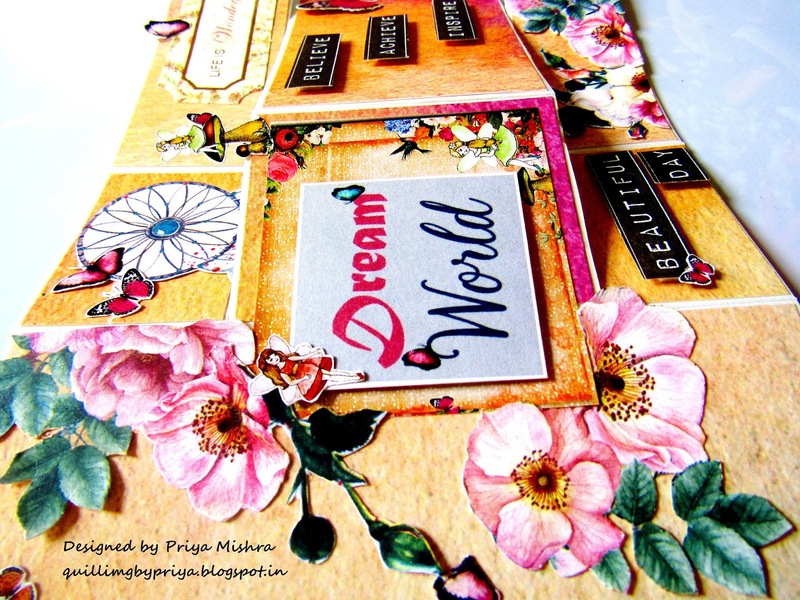 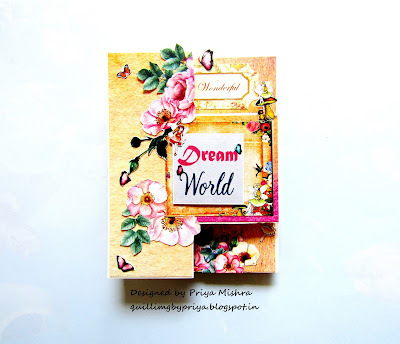 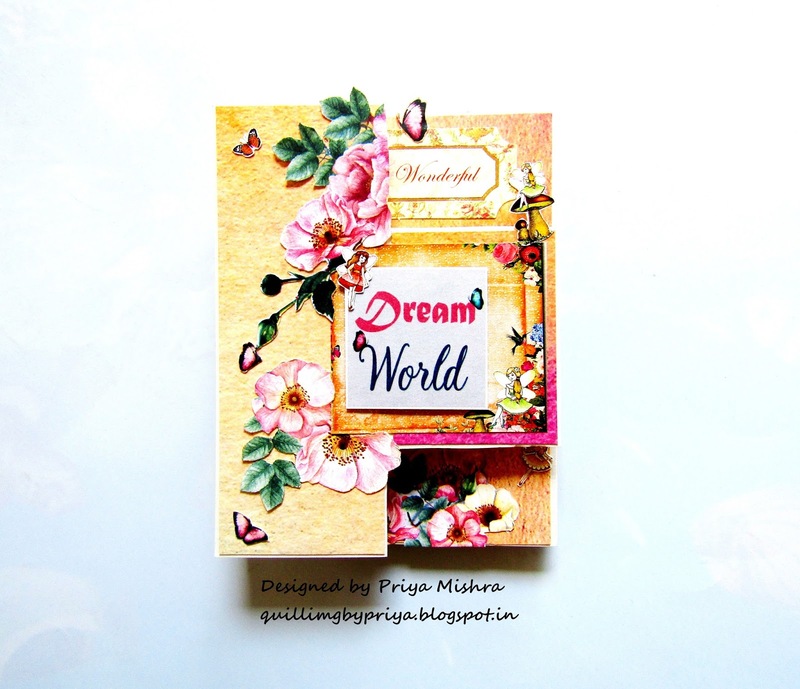 I have used these beautiful Pattern Papers from Fairy Land and Indie Chic Paper packs from Papericious. 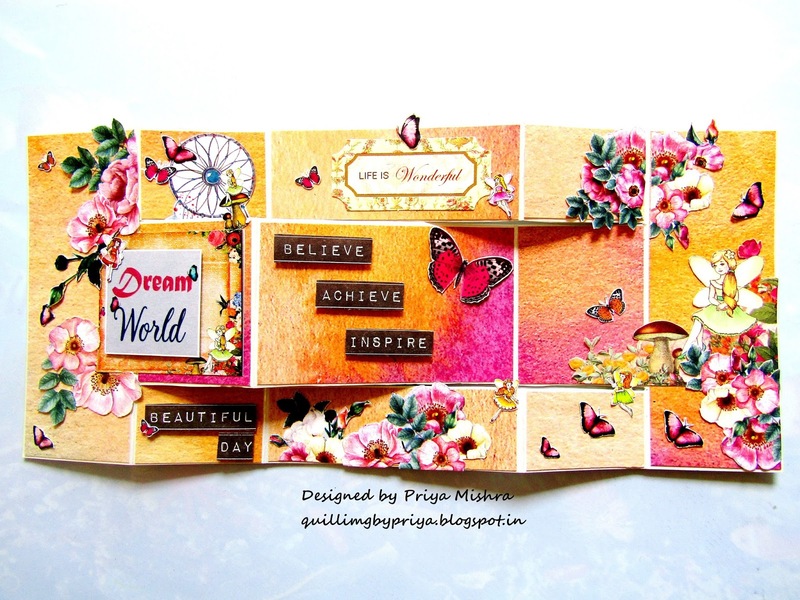 I made the base using the cardstock from the same paper pack and hand cut all the flowers, Butterflies and the elements used on the card. To give it a dreamy and fairy look I cut the Dream catcher and fairies from the pack. 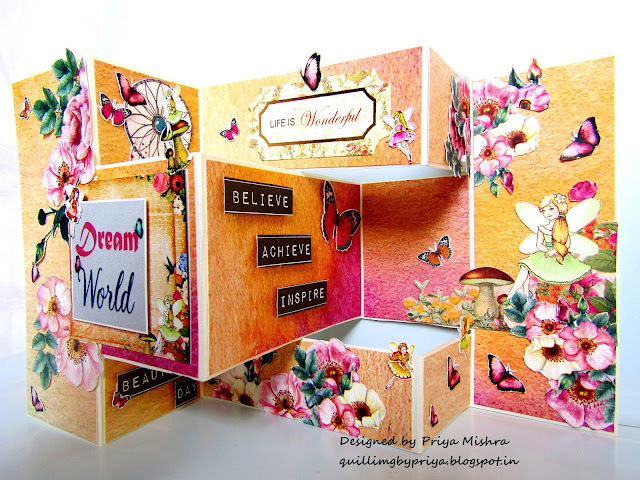 A lot of butterflies were also hand cut and added to give the feel of Fairy Garden. 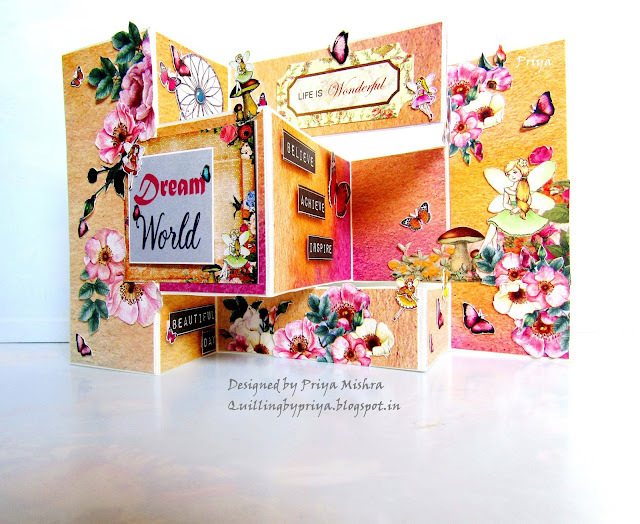 And this is how it looks when closed.